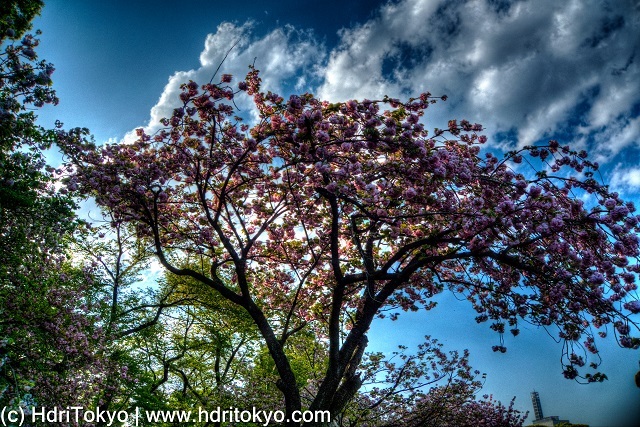 Yaezakura is a general term of cherry blossoms which have multi-layered petals. That cherry blossom is a type of Yaezakura called "Kanzan". I took this photo at the East Gardens of the Imperial Palace.